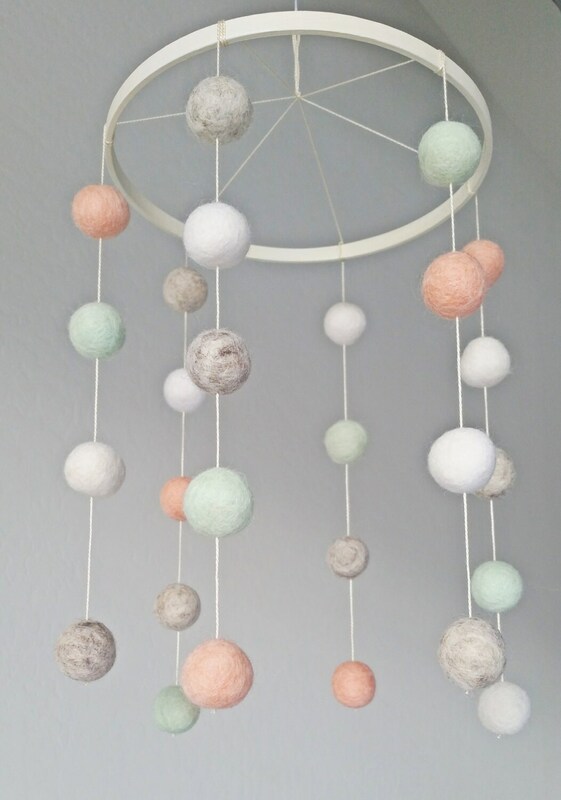 Peach / Blush and Mint Baby Mobile with felt balls. 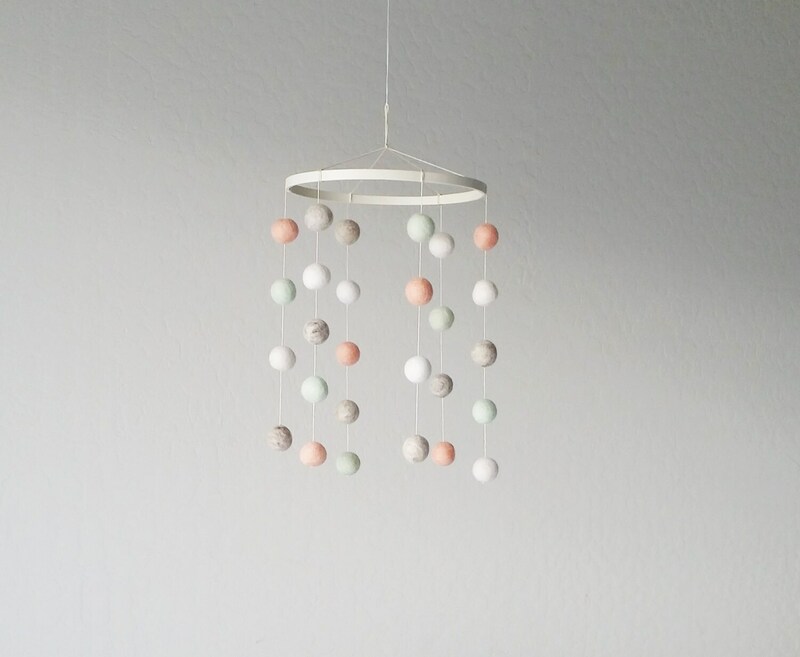 The mobile has a loop at the top and can hang from a hook in the ceiling or from a crib mobile. 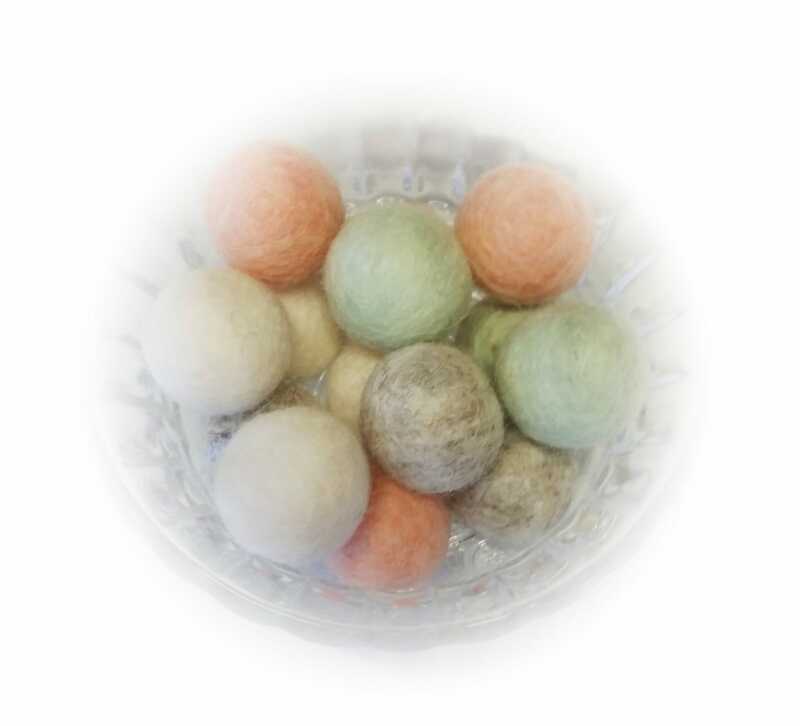 This item is made in my smoke-free home and will be ready to ship in 3 days.